Heroes may come from the unlikeliest of places and, sometimes, an abandoned little kid who is chosen by a mystical guardian of ancient magic to foster the powers the latter grants is not the farthest apart you can distance yourself from reasonable likelihood; more unexpected guesses would be a burgeoning horror director who barely six years ago made the YouTube-friendly short which turned him into a bona fide Hollywood player and a moderately known TV actor whose main claim to fame was cancelled one year before that. 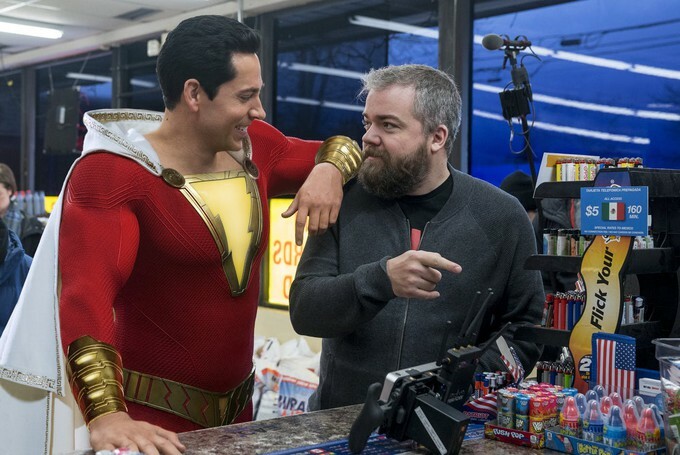 Yet here I am, singing the praises of both David F. Sandberg and Zachary Levi who emerge as the fundamental reasons for the joyously definitive success of Shazam!, DC’s latest step back from utter perdition and into delicious redemption. 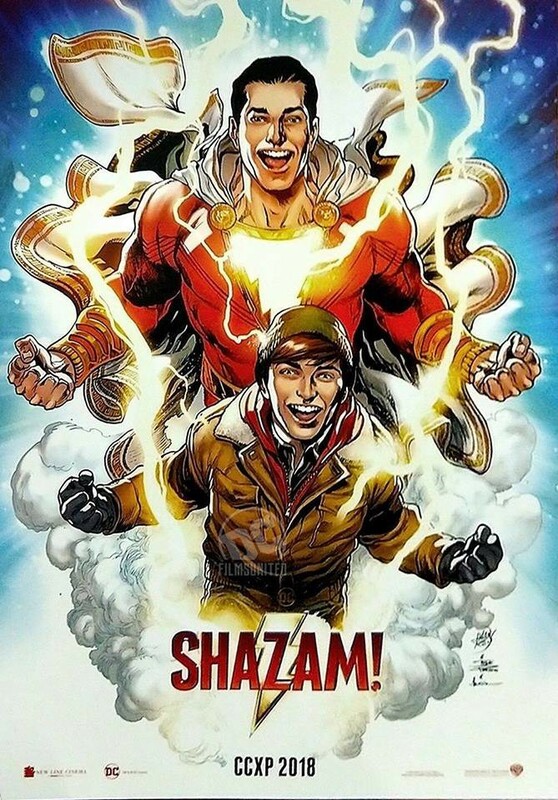 The tale of an orphan who is given the one-in-a-billion opportunity to ride the ultimate power trip and become a super man-child is alluring enough but what makes Shazam! truly special- and it IS special- is its unequivocal determination to pinpoint its focus neither on hollow spectacle nor sensory overload but, simply, on the character studies at its core. Very much like the 80s staples it obviously both resembles and draws inspiration from -Like Father Like Son (1987), Big, ViceVersa, 18 Again! (1988)- the screenplay from Henry Gayden (Earth to Echo) and Darren Lemke (both Goosebump movies among other mostly kid-oriented efforts) shows a kid coming to terms with being a kid but differs from those earlier efforts by, first, completely eschewing the adult part since, despite of Levi’s muscle-bound presence, there is really no adult whatsoever in the equation and, secondly and most brilliantly, by broadening the scope of its interest to encompass what for all practical purposes amounts to pretty much the entire cast. 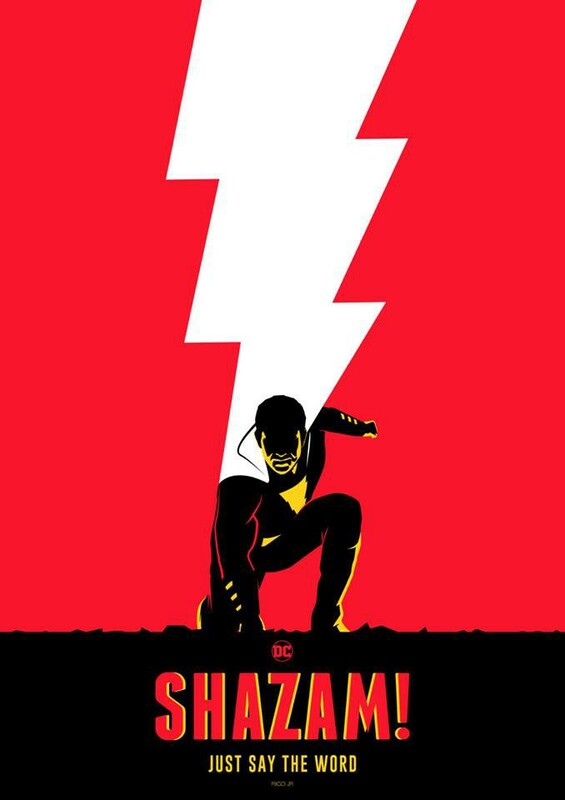 It is all almost shockingly simply told, too: back in 1974 Thad Sivana (Ethan Pugiotto), a little kid perennially underestimated by his family is offered the chance to become the vessel for the magical powers of the wizard Shazam (Djimon Honsou) but his resentful eagerness to prove himself makes him lose his chance. 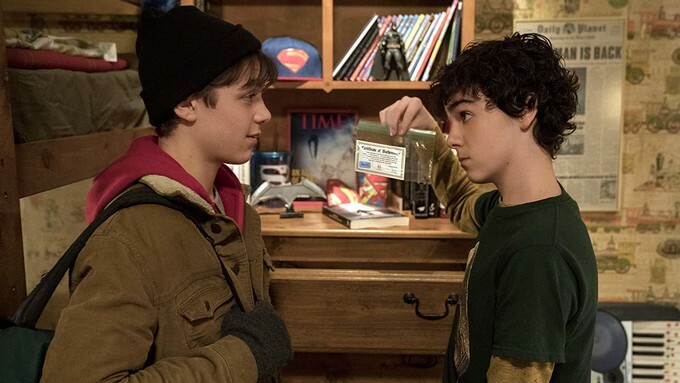 In present day Philadelphia orphan Billy Batson (Asher Angel from Disney Channel’s Andi Mack) jumps from one foster home to the next one, always hell-bent on finding his biological mother, until he finds himself at the same crossroads; he does grab the opportunity, however, not even fully aware of what it all means or entails. The rest of the movie, covered and layered by fantasy and action as it is, depicts- heartbreakingly, in some instances- the lives and choices of children from a parentless childhood. Sivana himself (Mark Strong as an adult) never lost his own in any literal way yet, if we are to judge by his brief family exchange at the beginning of the film- and we are-, both his father (a sadly underused John Glover) and his older brother made sure he felt alone in the most intimate way. The rest of the children at Billy’s latest foster home, on the other hand, have recognized in each other all they have and have closely bonded in consequence, a polar opposite of Billy’s dogged and scared refusal to let anyone in ever again. And his own staunch search for his mother, faithfully loving as it may seem, is actually a search for validation rather than anything else- it is quite obvious that he´s been taking care of himself reasonably well so far. What he craves after is the proof that his existence is worthwhile because of something- someone- else other than his own need to keep on breathing. They all stem from the same origin, one way or another; what makes them unique is their decision on how to approach the rest of their stories. Sivana, understandably or not, became corrupted almost immediately; the foster home kids found strength in their loss; Billy’s quest, literally embodied by his newfound double (adult) identity, forces him to face temptation as well as the possibility of a theretofore unimagined inner peace. It is as sad as hopefully beautiful and spotlessly sold by the performances all around. 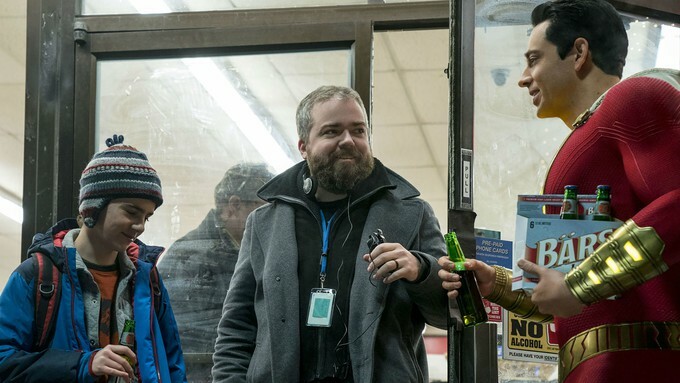 The foster kids are solid and Marta Milans and Cooper Andrews, as genuinely caring foster parents, irradiate a thoroughly needed warm glow to every single screen moment they are given; Strong, as perilously on the verge of permanent villain stereotyping as he’s been for a while now, plays it by the numbers but flawlessly. It is with Levi’s star-making performace, however, that Shazam!- both the movie and the character- soar into flight. His accidental superhero is, all at once, bumbling, clueless, harmlessly pompous, excited and thoroughly irresistible. Refreshingly, the responsibility of the role is almost evenly split between him and Angel -who stands his own admirably- resulting in an adventure that manages to fall- simultaneously- into classic superhero and teen comedy tropes. Jack Dylan Grazer as Freddie, Billy’s new motormouth roommate, delivers a wiseass performance which alongside his previous eye-catching turn as IT’s hilariously hypochondriac Eddie, fingers crossed, will eventually ease him into a long, solid career. They all play their parts with gusto, abetted by Sandberg who wisely keeps them shielded from any potential need to spruce up the proceedings with anything other than sheer humanity. The helmer steps into his first unarguably big budget effort without so much as the faintest sign of struggle and, in spite of his horror background shooting Lights Out and Annabelle: Creation (which can be easily discernable during a couple of unanticipatedly gruesome scenes), drums up a world as colorfully sparkling in tone as it is in its cinematography and production design. The action is constant but mostly playful and staged with sure-handed simplicity that starkly contrasts not only with the DCEU’s previous record but with action filmmaking at large. The climactic battle at an amusement park consists of a barrage of small vignettes succeeding one another at breakneck pace and it is exciting and enthralling but, above everything else- as with the rest of the movie-, it is fun. And consistently gut-bustingly hilarious, too. It is vital to notice that, in an exceptionally rare example of flawless marketing, the trailers for the movie have been totally in service of the eventual moviegoing experience and you do not in fact know what this movie really is. Saying that much is borderline inexcusable but it would be remiss of me not to beg you to give this movie a chance and, in doing so, remain utterly away from spoilers. It is most definitely worthwhile. What I want to stress the most, though, is the importance of Shazam! in the current state of things, cinematic and otherwise. Forty-one years have gone by since Christopher Reeve, John Williams and Richard Donner ushered in the very beginning of the superhero movie as an economically viable form of entertainment, ripe with potential for respectability, and only once again ever since- with its own sequel- have we enjoyed another Superman movie that not only made us believe a man can fly but also filled us with the joy and wonder that only having a hero to look up to- however fictional- can provide us with. As trite as it has become to bring it up, there has been nary a trace of Grant Morrison’s take on the heroic icon since, well, ever: “Your doctor really did get held up, Regan. It’s never as bad as it seems. You’re much stronger than you think you are. Trust me”. We have been given amazing consequences of that initial inspiration, instead: Captain America and Wonder Woman have stepped up and covered for the main man’s absence way more satisfactorily and eloquently than any of his ulterior incarnations has. And, make no mistake, Shazam does as well. 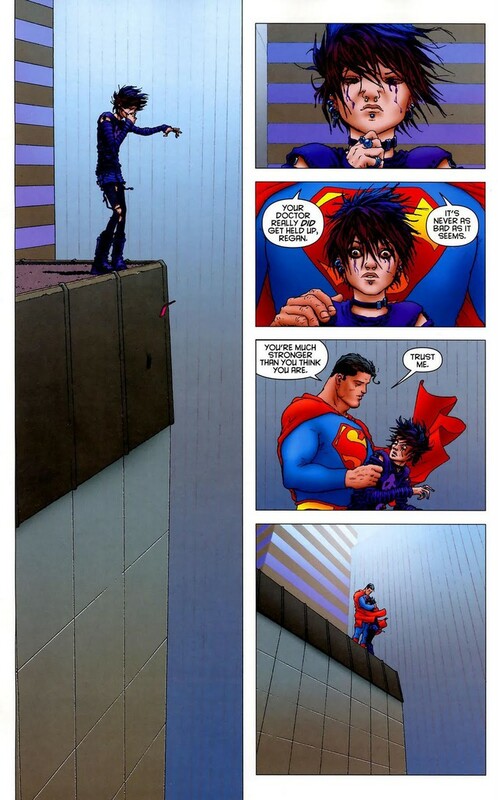 Here we have a super-powered man that, regardless, is not anything special because of that alone; then, we have a kind-hearted, good-humored, well-intentioned, ultimately selfless man, too, and these are the things that make him not only special but also a hero, without any amount of snark or irony involved. 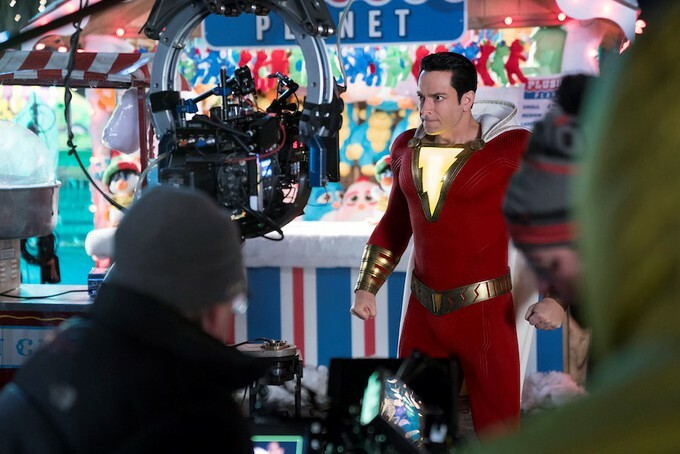 In what could have come off as the most pathetically self-serving moment in the movie but is, instead, simply earned and accurate, a kid plays with Batman and Superman action figures as, outside his apartment´s window, Shazam hovers by, helpful and friendly. The boy stares agape and drops the toys which lay, discarded, as garbage. Shazam will make you believe again that a man can fly.